Key Words: When I call to remembrance the unfeigned faith that is in thee, which dwelt first in thy grandmother Lois, and thy mother Eunice. Ordinary grandmothers and moms become extraordinary when they live their faith and become an example to their grandchildren and children. Such were the lives of Lois and Eunice. We often hear of the father’s influence upon the son, such as David and Solomon, and Solomon and Jeroboam; but as you read about Timothy in the Scriptures, it was his mother and grandmother who influenced him by their faith. Paul calls it “unfeigned faith.” It was a real faith, not an artificial faith. It was not just for show; it was a faith that saw them through the hard times as well. Timothy caught that. Faith is not just taught, it is often caught. Unfeigned faith carries us even during the storms of life, and the result of an unfeigned faith is dynamic. It was a stormy night in Birmingham, England; and Hudson Taylor was to speak at a meeting at the Severn Street schoolroom. His hostess assured him that nobody would attend on such a stormy night, but Taylor insisted on going. “I must go even if there is no one there but the doorkeeper.” Less than a dozen people showed up, but the meeting was marked with unusual spiritual power. 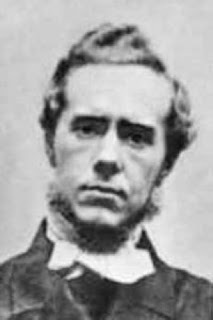 Half of those present either became missionaries or gave their children as missionaries; and the rest were faithful supporters of the China Inland Mission for years to come. Let me encourage you to carry on during the trials of life, because that is the faith that impacts others for God’s glory. ✞ Don’t be ordinary but be extraordinary for being an example of Godliness to your family.